Strategies Guaranteed To Immediately Boost Your Racing Performance! Most racers naturally think that the best car on the track wins every race. Right? But I am here to tell you that the fastest car does not always win the race. Why? A lack of confidence, indecision, or making too many mental mistakes can negate the fact that you have the fastest car on the track. Your MIND controls the body. What the mind thinks (or believes to be true) is replicated by your body. One problem is that most racers wait until they are deep into a slump or something needs to be “fixed” – and they have tried everything else before they commit to looking inside at their mental game. But, by then the mental scars are well formed. No race car driver is perfect or should expect to be perfect. I am sure, at one time, you lost your confidence or focus momentarily and it cost you a win or podium finish. Do you try to be too perfect with your racing and then over-drive your car? Do you set such high expectations and thus never feel like you perform up to your own expectations-making you feel unfulfilled? Do you ride the confidence roller-coaster and your confidence goes up and down quickly based on your performance on the previous lap? Does your own internal mental chatter cause you to become distracted during races? Is it harder for you to focus on the starting grid when your own pre-race jitters distract you? Does you heart pound out of your chest? Is you breathing faster? Do you perform like a star in practice or qualifying, but in races freeze up or become paralyzed by excess tension? Having helped my students overcome these mental game obstacles, you can learn the same powerful mental strategies I teach them. But before I offer my solution, I want to make sure you know that I have the credentials to back me up! Interviewing many top athletes in the world including Dan Wheldon, Ernie Els, Mario Andretti, and Jeff Emig to uncover the strategies, techniques and skills that keep these professional athletes at the pinnacle of performance. Authoring and producing an extensive library of sports psychology books, videos, audio programs and training seminars (Visit the PeakSports.com proshop or seminar page for details). Other mental coaches brand me as a “master mental game coach” because I teach other coaches and psychologists my unique mental training system. The MGCP certification program certifies coaches so they can teach their athlete’s mental toughness. Rocket Your Racing to New Levels with The Confident Racer! 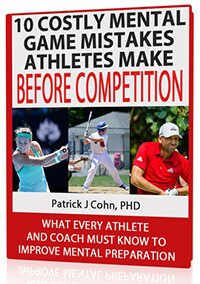 experience and learn how to think like a champion in competition! How to recognize and avoid the top 5 mental spinouts in racing. Why the mental game of racing is so important to your success. A step-by-step prerace mental preparation routine to help you get into a confident, focused, and relaxed state of mind before the race. How to fuel your self-confidence before each race so you can blow away the competition. How to let go of errors quickly so they don’t cause you to spin your wheels. How to use mental imagery to ingrain your lines and commit to a race plan. Applying sound mental game strategies for focused racing is not rocket science. Would you like to be mentally ready at the start of every race effortlessly? Now you can learn how to think like a champion and race with confidence and conviction. It’s not hard or impossible to achieve. I help my racing students reach their goals everyday and you too can learn the same mental strategies to get on the podium with my new CD program…. program to prepare you to think like a champion. Below, you can order the digital download version or have the program shipped to you. Digital Download: $5 Off + No Shipping! We will ship the CD to you. You will also be able to download the program immediately after purchase. Discover how the top racers in the world use their mental game to race to the finish line! Identify and abolish the most common mental game barriers to a racer’s success! Discover the six most powerful strategies to peak your confidence and help you get into a zone focus! Master the prerace mental preparation steps to take prior to a race to cultivate a winning mindset! Bonuses Included – Valued at $85! A bonus 22-minute audio prerace relaxation and mental imagery program to help you to control your tension level and ingrain the top 6 mental strategies for racing success. This prerace imagery program helps you practice and apply the mental skills I teach you in the CD program. This special audio program is an MP3 download that you can access immediately! Free bonus audio program value: $50.00. Sometimes racers can forget the important lessons in the CD program, but we have you covered with a special RacePsych Mental Prep Summary Card! The RacePsych Mental Prep Card summarizes the key mental skills to apply during your prerace routine. I stand by my work and reputation as a leading mental game coaching professional. If you are not completely satisfied with “The Confident Racer” CD program, you can return the CD (within 30 days) for a full refund, no questions asked! And you can KEEP THE BONUS MATERIAL! What do all champion racers possess? CONFIDENCE – TRUCK LOADS OF IT! No better time than now to improve your mindset for racing? I am virtually giving away all my mental training secrets in my unique, real-life tested program, available to you at this low introductory price. When I sell out my limited supply of 200 copies, the next printing I release will cost patrons more. The easiest and most efficient way is to place your order online today and download two of your bonuses in seconds after you complete your order. Click Here to Order Now. Thank you for taking the time to read about “The Confident Racer ” – the best investment you might ever make to rocket your racing career to new heights. I look forward to helping you reach your goals with more confidence and FOCUS on the track than you can imagine. P.S. You can learn the same confidence-boosting strategies I teach my personal coaching students for a fraction of the price. Ask yourself: What is the most important mental skill in sports worth to you? Order “The Confident Racer” CD Program – Guaranteed to rocket your confidence to new heights! P.S.S. Become a peaksports.com member today and immediately download six mental training e-books. Click here to demo peaksports.com membership program.